Marine mammals, sea turtles and elasmobranchs are highly charismatic species. They feed at a variety of trophic levels, occur from coastal to open-ocean ecosystems, and are found across virtually all latitudes. Due to their high historical — and sometimes present-day — abundances, capability for large-scale movements and highly variable metabolic rates, they have the potential to affect the structure and function of ecosystems through a variety of mechanisms over both ecological and evolutionary time. They also face major conservation challenges at the global scale due to bycatch, overfishing, habitat destruction and climate change. Dr. Kiszka studies the ecological roles and importance of marine megafauna in marine ecosystems. More specifically, he investigates how they use habitats and resources (their ecological roles) and how ecosystems can be affected by the presence of these animals, which includes their top down effects on resources and behavior, as well as nutrient dynamics. Empirical studies and a rich theoretical framework also demonstrate marine megafauna can affect ecosystems through more diverse pathways, including those that are driven by behavior. For example, Dr. Kiszka studies the roles of cetaceans, green turtles and several species of elasmobranchs in facilitating access to resources to other species (e.g. teleosts, seabirds), and how mixed-species associations can provide evolutionary benefits to species involved in these interactions. 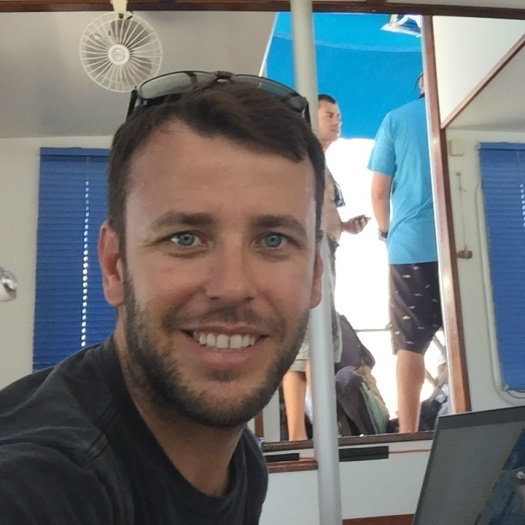 His work implies the use and development of new and innovative research tools and methods to study marine megafauna ecology and conservation issues, particularly since these species are so challenging to observe. Through research and education, he also creates outreach tools and works on providing opportunities for students from minority groups and developing countries to build capacity. At FIU, Dr. Kiszka teaches the online course “Biology of Marine Mammals” (OCB 4303). Dr. Kiszka's research interests focus on marine top predator ecology, including habitat and resource use and community ecology. He is particularly interested in the effect of environmental parameters on habitat and resource selection, as well as the influence of these parameters on grouping strategies. Recently, he has been mostly working on tropical dolphin behavior and ecology, but also on their interactions with human activities (particularly fisheries in the western Indian and South Pacific Oceans). As predation risk is a significant factor driving tropical dolphin habitat use and grouping behavior, he has started investigating the ecology and ecological roles of sharks in various ecosystems, particularly coral reefs. At FIU, he is working on a number of taxa and questions, including the non-consumptive (risk) effects of predators on mesopredators.